If you can access your bank account account online, then by definition, the information is being stored in the cloud - "cloud" is actually just a euphemism for a remote server somewhere. I find it amazing that this thread was marked as solved by the OP in post # 32 and now here we are posting to a solved thread on my post #353. You are quite welcome to ask if this thread can be locked if you wish, but I believe someone will continue discussing the Online vs Local vault issue on a new thread anyway. Actually, I was hoping someone would catch how long this thread has been off topic - seems like the online vault vs local vault is not exactly the main topic of discussion - but no, I won;t ask for it to be closed - I'm anxious to see when another Norton employee says something. When my identity safe is working it is the best. I in no way shape or form want it removed to be replaced by a out there in webland new versions. I’m not inventing or objecting to anything; forum members could have said nothing on this issue and the Norton 2012 products would have still received the Firefox patch. Why? Because the solution to install a Norton 2013 product to get Firefox compatibility may potentially introduce more problems than it solves. 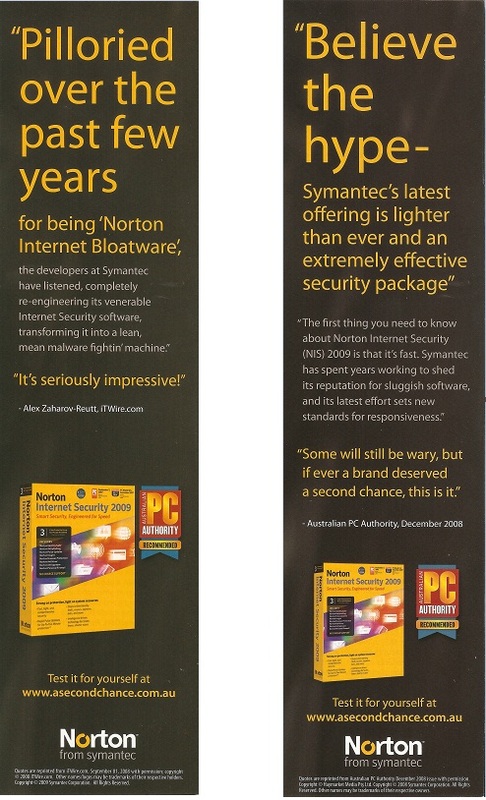 Symantec would have had to release a significant product update during December 2012 if there was ever going to be any chance of this being ‘Norton 2013 products only’. That, in itself, was unlikely from the start. You only need to think about the potential impact of that decision on the Norton Community forums to see that it’s clearly a case of common sense prevailing. This has already been covered in this thread. Start reading at this post and read onwards to bring yourself up to date. Which is what I said -- they listen and they react. Which I gather Norton is looking into and has posted this. The online vault is exceptionally secure. As you would imagine, most Symantec employees are hyper-aware of security issues, breaches, malware, and all the other bad stuff out there, so we wouldn't utilize the online vault feature for our own logins if we didn't believe in and trust its security. I personally have my personal banking, commerce and email logins stored in my online vault. My managers do too! We are continually looking at ways to further strengthen security. Yes, two-factor authentication is being looked into. I should very much like to keep the local safe. Currently I'm on the 2013 version but using local safe via upgrade. I'm one glitch away from losing this if I clean reinstall. I find the local safe more convenient as it logs in with Windows start up. No seperate login required. It has to stay that way until Symantec responds to the issues raised in this thread. As ironical as it sounds, the online vault’s unreliability is actually a safety net for those users who are currently using Norton’s Online Identity Safe. "Gartner probably had a point. The days of exclusively using simple password protection may be numbered. We've seen enough examples to know that it’s not a matter of if a password-only protected account will be compromised, but when. We’re already seeing large consumer services go this route, with the Googles and Yahoos of the world allowing users to turn-on optional two factor authentication. That said, moving to a world where these alternative authentication systems are the norm won’t happen quickly, so don’t be surprised to see attackers entering networks with legitimate, albeit compromised, access credentials for the time being. Moving forward, businesses can’t afford to take any chances, and it’s time that we find the strong authentication system that will work best for us. Until then, most will continue relying on a security control that doesn't work. Peace of mind will only begin where simple passwords end." Given the above, then isn't it time that Symantec ‘practices what it preaches’ and makes moves to change the design of the password authentication mechanism of the currently deployed, mandatory implementation of the online Norton 2013 Identity Safe vault to ensure that it complies with at least one of the stronger solutions described in the link provided above? Isn't that what Tony said the team were doing? That they are looking at improved implementation? If you want it implemented already then I don't think that changes of that magnitude are likely to be rushed nor would any of us want that to happen. We really do need a Local ID Safe alternative. Hi Dave note the date on the updated post Updated Jan 15 3:30pm PST: We're still working to resolve the issue, and will continue to update you with new information. orginal post date is jan 16 2013 01-16-2013 03:55 PM - edited ‎01-16-2013 06:28 PM ???? I did notice the post dates. Perhaps it was posted first in the section of the Norton Community forums that us mere mortals can't access. Updated Jan 16 11:10pm PST: This issue has been fixed. Please do let us know if you are still facing any difficulty. More likely I accidentally typed Jan 15 instead of the actual day of Jan 16. Sorry folks. I've made the change. In plain language that Symantec can understand. The on-line vault system is orders of magnitude SLOWER than local vault and DOES NOT WORK PROPERLY and by the very nature of not being on my computer IS LESS SAFE. Shortly after upgrading to 2013 and encountering all of the problems with the on-line vault, I was going to again drop Norton, but was assured all problems would be resolved. If Kaspersky's password management system didn't screw up memory allocation for and crash several of my programs (Corel, primarily) I would already be a former Norton user. Kaspersky has a local vault system that can be synchronized with net storage on a regular basis. Something like that would still allow me to retrieve passwords on my Samsung Galaxy 3 while not making my desktop work unit slower than my smartphone. If there is not a local vault option of some sort instituted before the end of my subscription, I WILL FIND AN ALTERNATIVE TO NORTON. Password management isn't worth it if it is SO SLOW AS TO BE USELESS. Not sure I had the same magnitude of slower for online than the Local vault you experienced - but I was seeing an average of 8 second delay between everything I did with my online vault. Click Vault Closed - wait 8 seonds for the login to appear > Click on Vault Open - wait 8 seconds for the drop down to appear - select All logins - wait another 8 seconds for the logins to appear etc. I did request the 20.2.1.22 patch from Tony Weiss so I could install it and see if it fixed my slowness. I have been using the onlone vault without the slowness it had before for about a week now. I am not saying it will cure your situation, but it may help. Info in this link see paragraph 3 for Tony's contact info and also paragraph 4 for what the patch corrects. I am on Win 7 64 bit, running NIS v 20.2.1.22 with both a Local and an Online Vault that is functioning correctly. It was more of a rhetorical question than anything else. Symantec’s “best intentions” do nothing to protect all those consumers who are using the current implementation of the online Identity Safe vault, as mentioned here. We’re all eagerly awaiting a response from Symantec in relation to this issue. The lack of a response from Symantec implies that they concede that current Norton 2013 online Identity Safe users can be compromised using one or more of the methods described earlier. No one here wants this to happen; let’s not forget that this is a topic that should have been resolved during Beta testing. Due to Symantec’s eleventh hour decision to make the Identity Safe ‘online-only’ upon deployment, the topic has now spilled into the public forums in order to seek a resolution for this issue. This immediately places an obligation on Symantec to respond in a timely manner. Over to Symantec for a response. I am adding my opinion to the Local vs On-line Vault issue. I have one computer. I live in Canada so I cannot even get the ID Safe for iOS (for my iPod Touch). I do NOT wish to use Symantec's cloud, or any cloud. I have iCloud disabled on my iPod Touch. If someone wants and needs the on-line vault, fine, BUT also have the LOCAL vault for those of us who do NOT wish to use a CLOUD. Symantec had both before, why is it so difficult to have both again? This has been an issue since v 20 was introduced. Does Symantec wish to KEEP customers or ALIENATE customers? My 2 cents for what's that worth. Your 2 cents worth are like 2 Gold Bars concerning the Local vs Online Vault issue!! Result - I still stay with 2012. You can disable the 'Share' button now! Please see the following post for details. I don't understand why the change to online only has meant my local vault has been completely removed without any option to backup to online. Or at the very least backup a .DAT to my machine for subsequent import into the online space. I have switched to Webroot already. Ironically, I had just had a chat session with Symantec about extending my subscription to which they graciously complied, but 1-2 days after this, the online vault started failing with server timeout error AGAIN! veThis time, I just said enough is enough, did extensive research, first tried Kaspersky whose pwd manager is NOT compatible with Firefox 18, then after reading various anti-malware testing sites like av-test.org, av-comparitives.org, pcmag, I realized that, despite having only a ONE-WAY firewall (and relying on Windows Firewall to be activated), Webroot has an impressive malware blocking score. I'm having absolutely no issues with webroot's toolbar in Firefox, nor IE, nor Chrome. It works perfectly for all of them. But I am sad, because since 2009, I have used NIS and have loved it! It still has much better logs and interface then webroot does, but for the complete failure of its password manager. Webroot, of course, is almost entirely cloud based (signatures) including pwd mgr, but is also much faster than anything out there. So I'll see what I'll do. Kaspersky has an impact on performance for sure, especially the problems with its pwd manager and Firefox's latest versions. It is seriously lagging behind Norton and Webroot in compatibility with browsers and its toolbars so I do not use it because of this. If you read the PC Magazine review on Webroot 2013 carefully, you will see that it has an "un-orthodox" method of malware detection but it truly works - it blocked 99% of malware tested! The option to Export (Backup) and Import (Restore) ID Safe data has been present in the N 360 you use for at least the past 3 versions of the program (if not longer). You had the option to Export/Import any time you desired. You can Export in either .DAT or .CSV now. Unfortunately, it appears you have not used that option. If you had, you would have the data available to Import now. I look at it similar to backing up data, you have the option to use backup whenever you desire - it is available all the time for your use. Now that I said that, I do believe there has been a suggestion made on the Product Suggestion Board to include a reminder to Export your ID Safe Data prior to doing any uninstallation of Norton Products that use ID Safe. Is there ANY way to create local ID Safe from the 2013 software? I had a spat with a support agent who said you can get local ID Safe if you do a fresh re-install of the 2013 software. I don't think so (local ID Safe can only be present if you do an over the top of Norton 2012). Who's right? Me or the Symantec suport guy? I just re-installed NIS 2012 from my purchased DVD which I got from the store last year. Then I installed 2013 over it. The local ID safe option is NOT there at all for me. I just have the online option. But ID safe vault online logon is working so far. John, you have to create the local vault first in 2012 (set up id safe) before over the top install. If you don't there won't be any option to do so in the 2013 version. Don't give me the snide 'you should've backed up your data' line. I am not an idiot. I DID have a backup and have backed up periodically for ' at least the last three versions' for this very kind of occasion. And yet here I am asking the very same questions everyone else is asking and getting the same snotty remarks back. I had a backup from a couple of months back. IT DOES NOT WORK. When trying to import using the import manager window, 360 refuses to accept my CORRECT password. Yes there should've been a prompt to back up. There should also have been a check-box option in the IDSafe program options to auto-backup at a set day/week/time but of course that would've been an intelligent thing to do and Symantec didn't have the foresight to implement such a simple little thing. ESPECIALLY when Symantec knew this very problem would or could potentially happen. So I'm guessing that entering my correct password and the program rejecting it is all my fault too is it? Because I should've had psychic powers to have chosen one that Norton 2013 would like? But alas, I get you and you're acrimonious commentary instead of an actual answer that is helpful. Yes, I realized that now. DA. I was actually at work (from home) and did not think. But I also have a rather unique issue with NIS 2012. I had contacted Norton support to extend my subscription because last year, I upgraded from NIS 2011 to 2012 three weeks early. But I did not contact Norton support until about 2 weeks ago for this. The extension worked but it seems to apply only to NIS2013 not 2012. So I cannot use 2012 because it shows subscription expired. Only after upgrading to 2013 could I see my newly extended subscription. But so far, no issues with the only vault. However, if what I have seen and what others have seen holds, the issue of server not responding or timeout, occurs only after some time, and not right away. This is what had happened to me after my last re-install of NIS2013. I have re-installed NIS2013 ONLY on my laptop, not on my desktop. This gives me the opportunity to see if the issue will recur or not and also to try other security suites. One final thing: Yesterday when I tried my laptop, the Norton toolbar had completely disappeared from Firefox and Firefox only (version 18.02) and I could not for the life of me get it back. I tried disabling and re-enabling it from Firefox add-ons. Nothing. IE9 and Chrome latest version has the toolbar enabled and showing. When I right-click on the toobar area in Firefox, I did not even have the option of having the Norton toolbar. Is this to do with Firefox's latest update to 18.0.2 perhaps? The NTB disappearing in FF 18.0.2 has been documented and Norton is aware of it, although they are having problems duplicating it. The bottom line is that there is no problem within FF 19. BTW, I have found that reboot of you system may bring the NTB back in FF - but it will nt stay thru every reboot. I apologize as I don't understand if it means that a user can obtain their IDSafe data while the user is offline or that the data can be retrieved while the Symantec servers are offline or if I am not understanding the meaning at all. I ask as I use 6.4.1.14 of N360 and have not had to use the cloud based IDSafe. I do wonder that when N360 has issue and need to be re-installed that I will more than likely on have an updated version to download/install and will then have to deal with the cloud. What is being said there is that there is a cached copy of the information that is available from your computer in case there is an Identity Safe server outage. This copy is not 'available' as such for a local vault because of the way it is implemented. I may have simply missed it since there’s been so much talk on the issue to wade through… Was it ever fully explained as to whether the local cache was simply an in-process “extended stream pipe” (similar to that used by media streaming technologies) in order to prevent “hiccups” due to intermittent internet connectivity, or was it eventually revealed to be a true total fallback cache capable of contending with extended duration internet (Symantec access) interruptions where the crypto-key vault access session initiator could not be accessed from the remote Symantec server due to various outage reasons? Your techology question is way above my head. I do not know how they technically do it, just know that it is not a local copy as such that you can call a local vault. No problem Peter - Thanks just the same! I just finally upgraded to Windows 7 from Vista and along with that I installed what must be the new version of Norton Internet Security (I had an existing subscription). I was quite shocked to discover that the option to create a local vault was missing. After wading through (most) of this very long thread I was mortified that Symantec's response was pretty much "Online is better, if you only want a local vault, too bad." Their explanation also implied that they want to make things easier for their product teams... rather than their customers. I was already extremely disappointed that my NIS subscription only covered my PC version of Symantec's software, but I would also have to purchase yet another subscription for a smart phone product. This is absolute rubbish if you ask me. Overall, you could call this local vault issue is the straw that broke the camel's back. I've been using Norton products for as long as I've had a PC (well over a decade). This has left me EXTREMELY disolutioned with Symantec and will NOT be renewing my subscription once it expires. Too bad really, they used to have a decent product and I'd come to rely heavily on my identity safe logins (using a local vault). Those words still ring out & thanks to Hugh for pointing them out. I don't know why anyone should be "shocked to find" since there has been enough posted about the change. If you do an inplace upgrade you keep the local vault at least for now. I've read the above provided link as well as gone to look at the products on the Norton web page and would like to understand what is meant by it. NIS doesn't have Identity Safe (keeping of passwords) but "use your own choice of vault" which refers to using a stand alone version of IS (if a stand alone currently exists)? Did you read mp3jo's post above the one in the link?